A higher performance version of the Hiker. Removable filter protector extends cartridge life in challenging conditions. Quick connect fittings make installation and removal of input and output hoses easy! 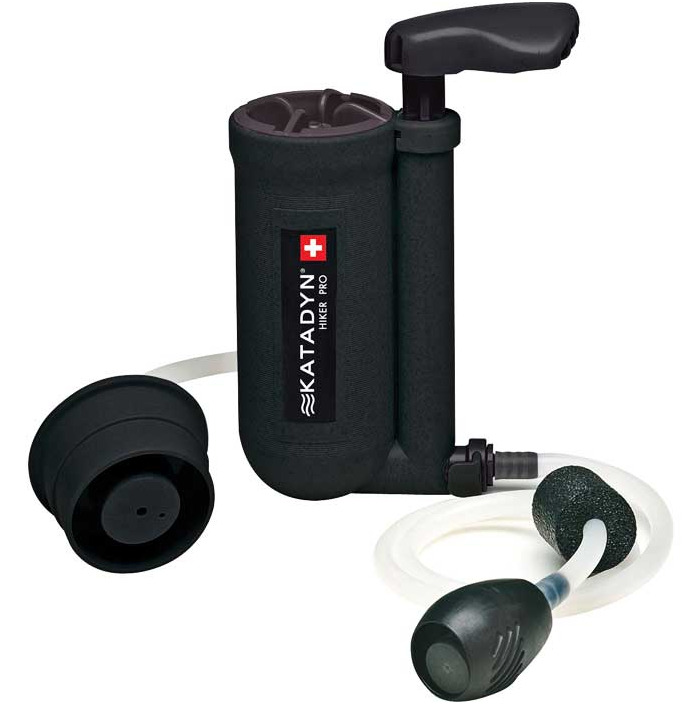 Also allows direct attachment to 1/4" drink tube of hydration packs - makes filling your hydration pack quick and easy! Output: Up to 1 quart (1 liter) per minute or 48 strokes per quart Cartridge. Capacity: Up to 200 gallons, depending on water quality.